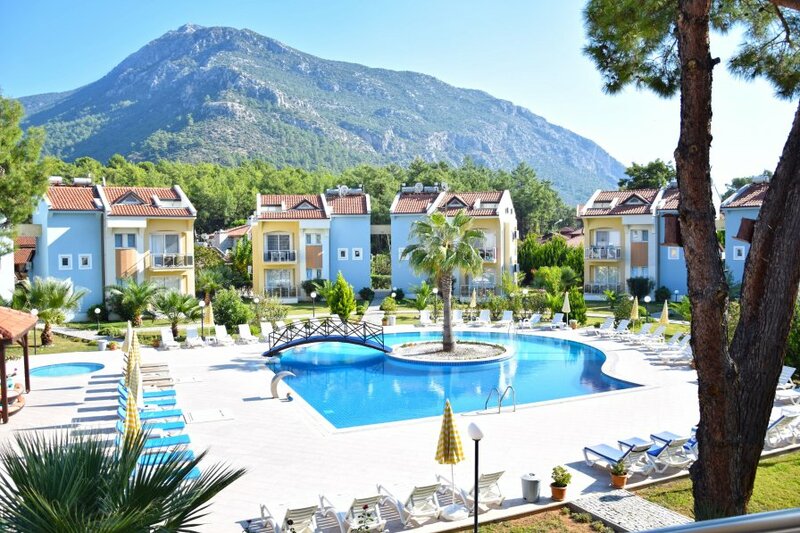 HISAR GARDEN COMPLEX has one of the most sought-after locations in Hisaronu. This modern 3 bedroom apartment sleeps up to 6 people. All rooms have air conditioning, and there is a fully equipped kitchen which opens onto a main balcony over-looking the pool and garden. Both upstairs bedrooms have ensuites and private roof terraces. The apartment has everything you need for a stress-free holiday, so you can completely unwind and enjoy what this stunning area has to offer.